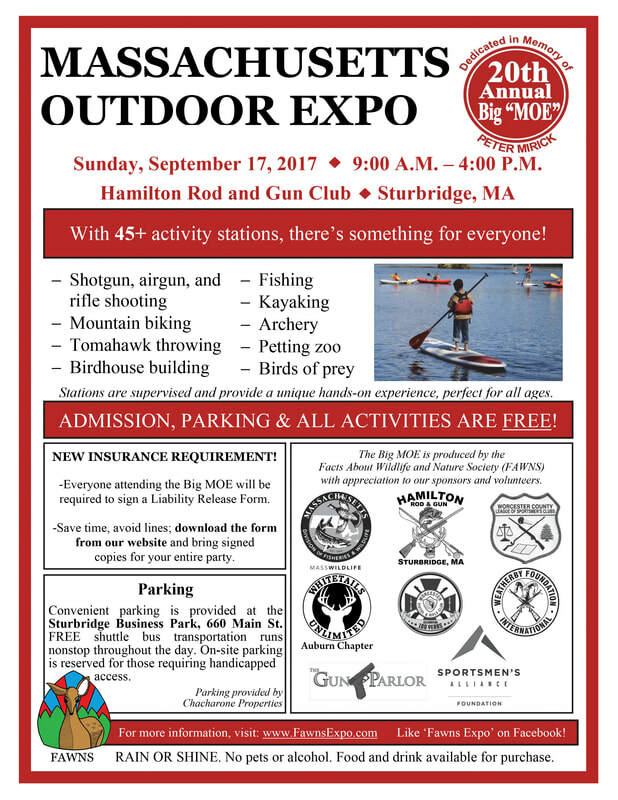 Every year, FAWNS organizes the Mass Outdoor Expo, also known as the Big MOE. Worcester County League is a major sponsor each year. There are over 40 activity stations at the Big MOE to attract 4000 visitors each year. 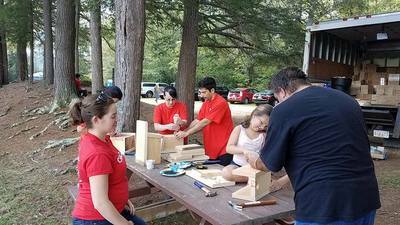 WCL each year conducts the activities in one or more stations - such as bird nesting box building, walking sticks, food station, and a WCL informational booth. Many sporting clubs , who are members of WCL, take on activity stations such as archery, trap shooting, rifle shooting, and fishing. Several partners of WCL and advertisers also support the Big MOE such as MA Wildlife and Whitetails Unlimited. Overall, the Big MOE is synergistic and complementary to everything WCL has as part of its 4 Point Program and its Youth Programs. What is the Big MOE? The Massachusetts Outdoor Expo, also known as The Big MOE is a free, family-friendly event designed to introduce young and old to wildlife and the outdoors. Attracting several thousand attendees annually, the Big MOE features a variety of skills stations, craft tables, and other exhibits relating to wildlife and the outdoors. This is your opportunity to try new outdoor skills and activities such as fishing, archery, kayaking, shooting, building a bird box, geocaching, mountain biking, nature arts and crafts. Visit a New England Pioneer encampment, take a peek at live birds of prey and native reptiles, be part of a treestand safety demonstration and get up close and personal at the 4-H petting zoo. Local sportsmen’s clubs, outdoor businesses, conservation organizations and state agencies sponsor most of the activity stations.